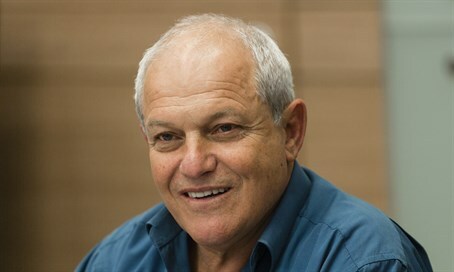 Welfare Minister Chaim Katz (Likud) revealed on Saturday that Prime Minister Binyamin Netanyahu offered him the economics portfolio in the last several days, but he refused. "Before the elections I wanted the role of economics minister, health minister or welfare minister," said Katz. "I got welfare and fell in love with the role." "A week ago they offered me - the prime minister and (ex-Economics) Minister Aryeh Deri - to take the economics portfolio, and I refused. I remain with welfare and hope that the labor portfolio will be added to it." Katz also spoke about the situation in Israel, and about suggested plans to divide the country and establish a Palestinian state. "The land of Israel is whole. There is no Palestine," he said, emphasizing that Judea and Samaria are part of Israel just like any other region in the Jewish state. "Let the Palestinians go to Jordan, to Gaza, to Saudi Arabia, to Kuwait, to Egypt and to Iraq. They don't want peace and don't want us here. They are manipulating our weakness. The Palestinians know how to play. They stick to their place." Turning his attention to Likud politics, Katz said he opposes holding early primaries for Likud leadership. "When they announced it, my eyebrows rose and I didn't understand why it was so pressing," he said. "But if the prime minister decided, I support him with full backing. I don't see and don't think there is someone who can fit into his shoes. Gideon Sa'ar needs to be inside the Likud, but he can't and doesn't know how to beat Bibi (Netanyahu)." Katz concluded by saying he opposes a new bill to close businesses on Shabbat, saying, "I will vote against it in the government. We don't need religious coercion in Israel. Everyone should live in their own portion from God." Many have argued for the bill so as to protect and strengthen the Jewish nature of the state.